How to Peel and Clean an Artichoke? 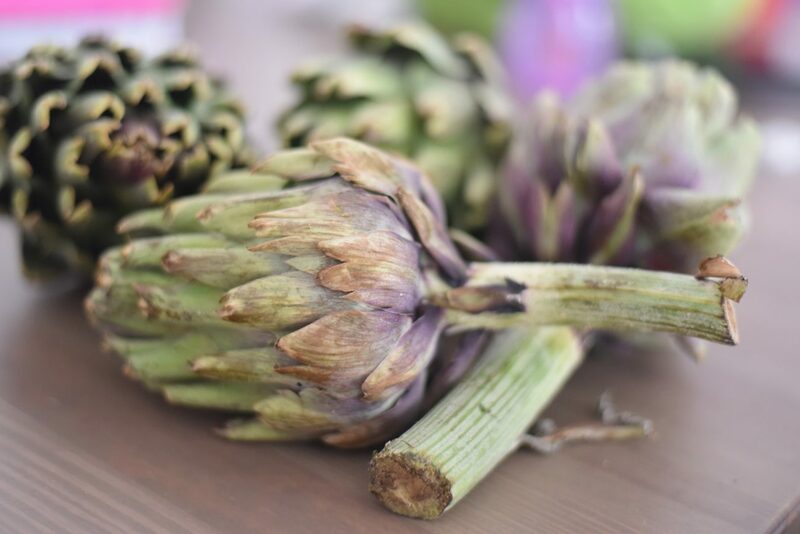 you can probably say that you buy your artichokes frozen and ready to use, true, I do the same in many occasions, however I will show you a ‘how to’ guide that will not take too much of your time per core, making this great veggie available in its natural delicious form, you really can’t beat the fresh artichokes flavor. 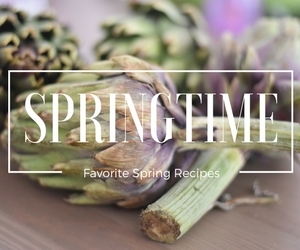 Spring is kicking in and the amount of new vegetables and fruits variety in the markets are huge, what a great time to cook fresh and healthy dishes. Among the unique vegetables in the peak of the season are the artichokes which is one of nature’s most delicious veggie. 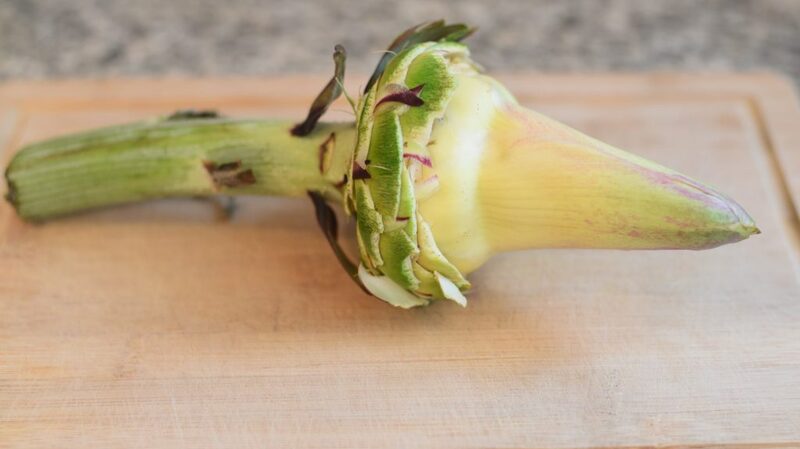 This odd and strange looking vegetable is actually a flower, protecting its inner part with great success. leaves on top of more leaves covered with a bunch of hair inside and spikes on the stem, the artichoke sure doesn’t make it easy for us to eat it. 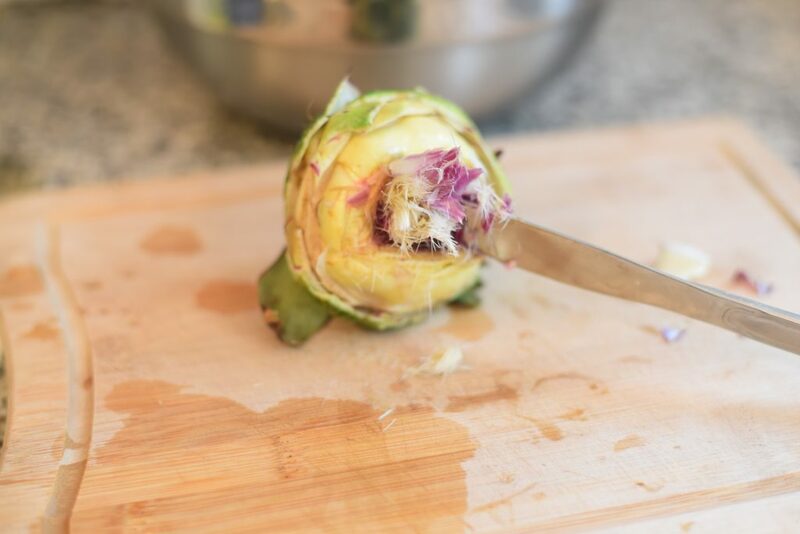 Don’t be intimidated with its defense systems, I will show you a quick and easy way to peel an artichoke that will not take more than 3-5 minutes per head. 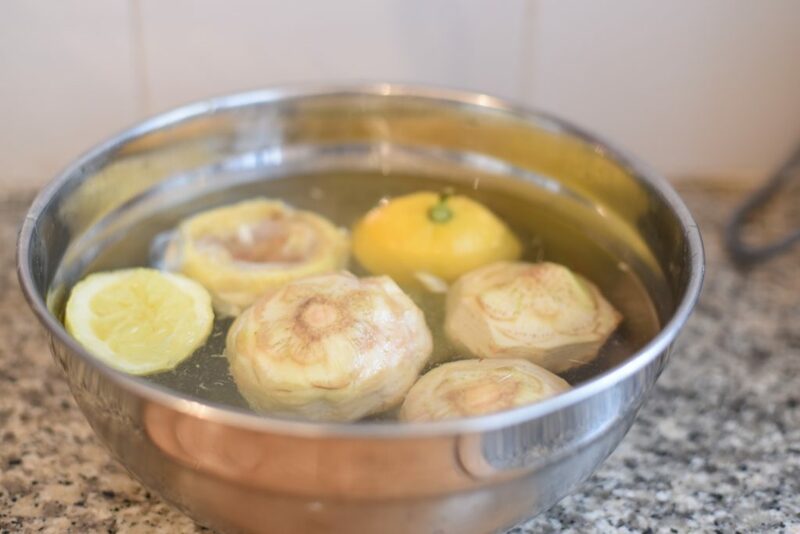 Well, first thing to do is preparing lemons and a water bath, it’s essential for our peeled artichokes, they turn out grayish in about 30 seconds so be sure to wipe them out with half a lemon from time to time in the after the core is exposed and throw them in a water bath with lemon bits inside. The artichoke hearts are well covered, in order to get to the core, we need to pull out leaves up to the point we can see the white part. It is done by pulling the leaves by hand, at this point we don’t use a knife. 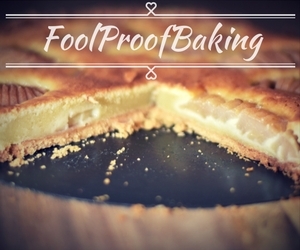 With a paring knife or any sharp knife, cut the outer leaves around the core, we need to be gentle here and not cut out too deep, avoiding hurting the heart. 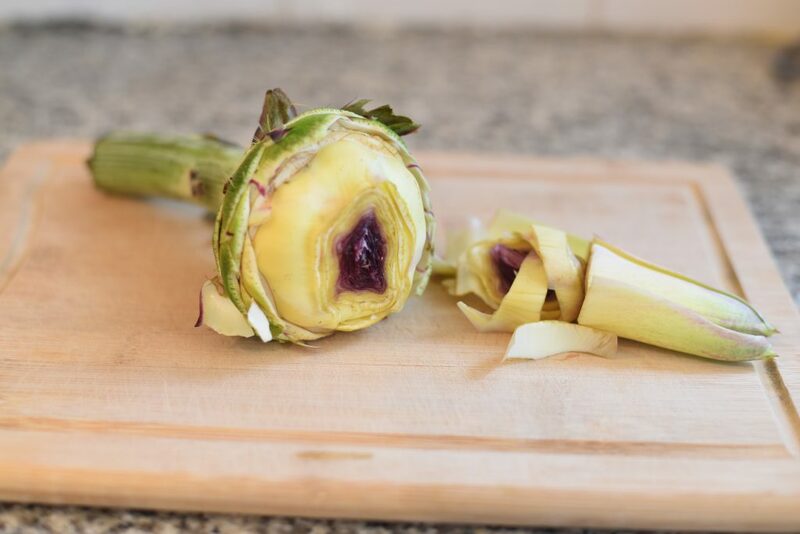 *** After this step I usually rub the artichoke with a lemon from time to time, it helps keeping the white color and preventing it from oxidizing and becoming gray. Third step- cutting the leaves connecting to the core. With a sharp knife, cut the soft leaves that we didn’t trim just about the point the leaves meet with the core. 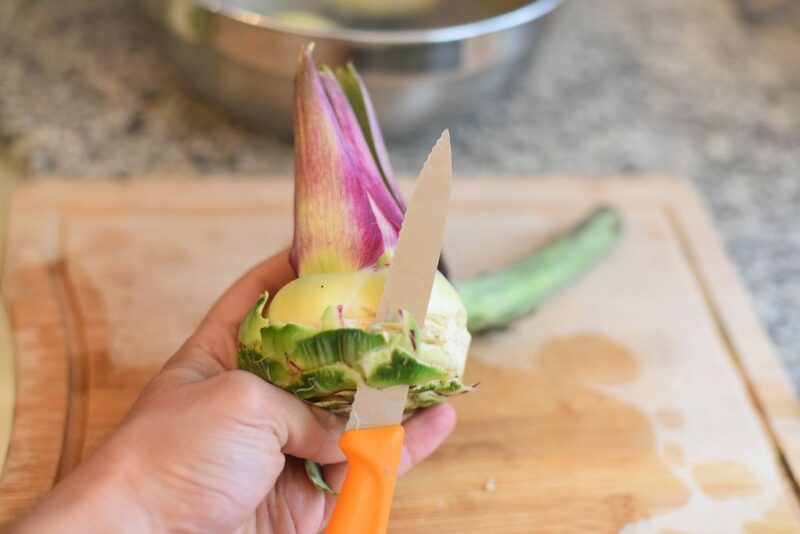 Take a regular butter knife, it’s important that the knife will not be sharp so we don’t hurt the artichoke, remove all the fuzzy hair part from the artichokes core. it’s important to work gently so we won’t break the base. 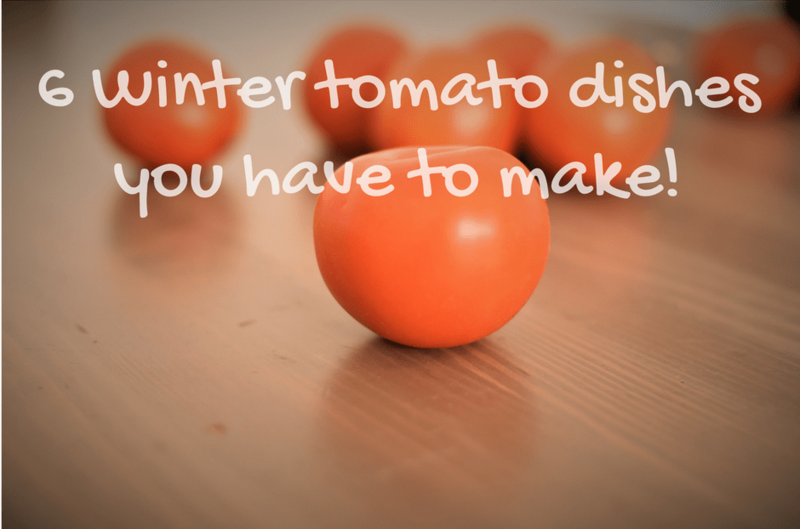 With a sharp knife cut the stem leaving it about an inch long, and carve it a bit exposing the inner soft part. Fifth step – cleaning the core and placing the artichoke in a water bath. 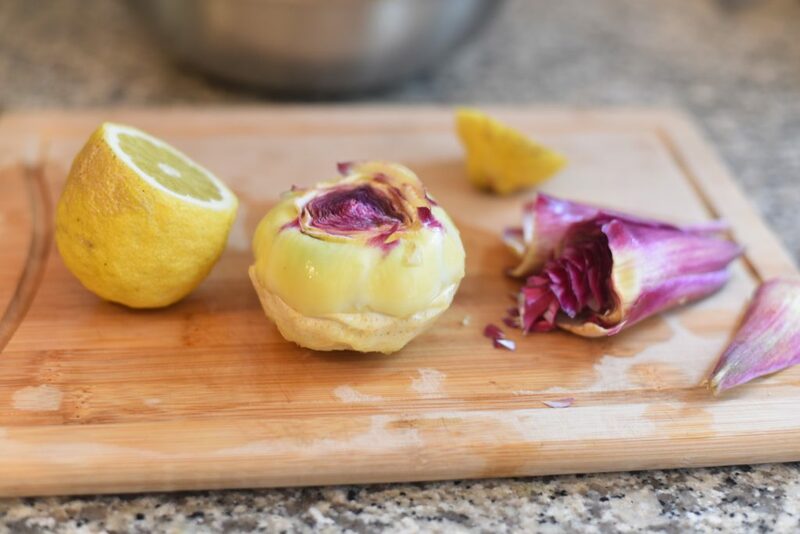 Make sure you scrub all the fuzzy parts out so the core is nice and clean, again from time to time drip some lemon inside (while cleaning the core) and rub it with a lemon making sure the artichoke stays in its white ivory color. 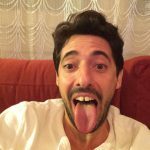 Throw the cleaned artichoke head into a water bate with some lemons inside to keep it in an acidic environment until we’re ready to use it.